The Central Business District in London will host deliberations of the symposium \\'Investment in Port and Free Zones of Sultanate of Oman,\\' with participation of elite businessmen, companies and investors. Yahya bin Said al-Jabri, Chairman of the Special Economic Zone Authority at Duqm (SEZAD) will deliver a speech in the opening of the symposium. Lord Mayor of the City of London will also deliver a speech in the symposium. The Sultanate will take part in the symposium with a high ranking delegation representing various sectors of commerce, industry, investment and ports. The delegation to comprise a number of officials from Oman Chamber of Commerce and Industry (OCCI) and the Public Authority for Investment Promotion and Export Development (PAIPED). 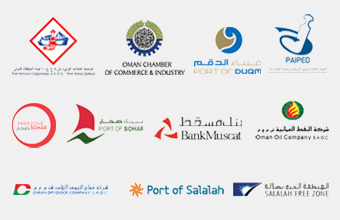 It is expected that ports of Sohar, Salalah and Duqm, Oman Dry Dock Company, Free Zones of Sohar and Salalah, Port Sultan Qaboos and Oman Oil Company will take part in the symposium, in addition to other Omani companies and businessmen, besides a number of senior British officials and representatives of the British and other leading companies in the United Kingdom (UK). The symposium will include lectures and speeches on three main themes that will highlight Duqm, Sohar and Salalah Free Zones. An exhibition of the investment in ports and free zones in the Sultanate will be organized on the sidelines of the symposium, in addition to meetings that gather local investors with officials of the Omani ports and free zones.